Our international mobile Wi Fi hotspot is a convenient and an affordable way to always stay connected when traveling abroad or even within the United States. Coverage for the hotspot includes Europe, Australia, New Zealand as well as in many destinations in Asia, Latin and Central America and of course, the US. Please refer to the coverage list below. The MiFi features a powerful 4G LTE device offering download speeds of up to 150Mbps plus, 12GB of service for more than 70 countries. We offer two versions of the hotspot, the only difference, besides price, is that the first version offers 12GB for up to 30 days while the second version extends the service life to 365 days. While slightly more expensive, the second version is advantageous as you can use the same SIM card for multiple trips and you can use the MiFi back home in the US. You can always buy additional 12GB of service by adding another SIM card to your order. To gauge how much data you actually use we recommend contacting your provider and having them detail your average monthly consumption of data. Again, while perfect for traveling abroad, you can also use the MiFi back home in the United States. 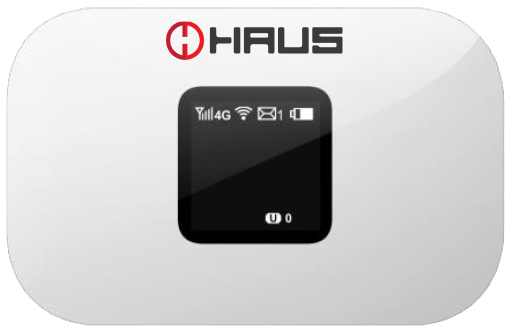 The mobile Wi Fi hotspot is plug and play which in sum, means it is a no-brainer to use. Simply turn it on, enter the password on the device and connect. It will connect up to 10 devices simultaneously, including laptops, tablets, smartphones and any other Wi Fi enabled device you have. Whether using the hotspot by yourself or sharing it with others, this is a great way to have constant, fast connectivity on your devices while avoiding expensive (and often subpar) data roaming capabilities. Many travelers rely on their smartphones and tablets to work, stay in touch back home and to make their trip easier and more enjoyable. Yet, finding a Wi Fi connection, particularly overseas, can be difficult, connection speeds can be frustratingly slow, and you are always exposed to security hacks. Definitely not the way most of us want to spend out vacation. Our mobile hotspot gives you fast, secure 24/7 access to the internet and lets you use your own device to check your emails, call back home with apps such as Facetime, Skype and WhatsApp, plan your trip...and help you get there (with GPS apps like Google Maps). Just how much is 12GB of data? 12GB of data allows you to browse approximately 120,000 webpages, read 24,000 emails and download approximately 24 hours of good quality video. The MiFi Hotspot is a portable device that you can put in your pocket, backpack or purse to access the internet virtually anywhere and at any time. Simply turn it on, connect to the network with your phone, tablet or computer, enter the password and you will have your own WiFi hotspot. The initial hotspot works in over 70 countries and includes 12GB of data for up to 30 days or, for an additional fee, for 365 days. If you need a lot of data, you can purchase additional 12GB, 30 day SIM cards. If you just need it to check emails periodically, then either the 30 day or 365 day service will suffice. In any event, additional SIM cards are available during checkout and, if you purchase one but do not use it, simply return it to us for a full refund! In fact, we recommend you pick up an extra SIM card or two...just in case (and particularly if you are traveling with a group of people). A MiFi Hotspot allows you to log on with one device or multiple devices, even simultaneously. For example, you can use your smartphone to check your emails and send photos of your trip and you can watch your favorite videos on your tablet while someone else is working on their PC. Please note that you need to be within approximately 30 feet of the hotspot in order to have a Wi Fi signal. You can connect up to 10 users simultaneously. This is the perfect solution for family or group travel but remember, the more people, the more data you will use so you want to be sure to pick up an extra data SIM card or two when traveling with a group. Nobody wants to have their credit card or bank accounts hacked, especially when traveling. Yet most security breaches occur specifically on free Wi Fi hotspots in tourist locations. Our international mobile hotspot is password and firewall protected ensuring that your password and login information are safe from potential threats. Think of it, a family of 4 traveling overseas, each one with a device, will literally cost you about $1,000 for a 3 week trip - and that's assuming you are not using multiple devices. Not only will you save money from your first trip, since our international Mi Fi package is pay as you go, you will be in total control of the costs. *Please note that it also works in several countries outside of Europe as indicated in the table. This worked much better than the sim card for the phone. I was able to access internet in each country Switzerland, Italy, France. I tried to only check email and view websites, but I ran out of data before the end of a two week trip. Some way to reload more data would be nice. I purchased this device so I could work while traveling in Europe. Very, very convenient as many of the places I visited did not offer any Wi Fi. Good to have this little device as a backup. I used it way more than I thought I would. Bought the device so I could use it with my tablet in the car for GPS. Worked like a charm. Had multiple family members so this was a great way to save money by using one device. You can order as far in advance as you like - even months prior to your departure. Rentals are shipped ground or express service and will arrive at least 2 business days prior to your set departure date unless next day delivery is required. The service is very easy to activate. Simply turn on the MiFi, connect to the network and start browsing. From the moment you start browsing you will have 30 days of service. Does the Mi Fi work in the US and Canada? The Mi Fi works in most destinations in the US but will not work in Canada. Can I test it before I go? Is the MiFi brand new? Yes, all of our MiFis are brand new and never been used. In fact, you will need to charge it prior to your departure. Does it come with the power supply and international adapters? Yes, the MiFi package comes with an international power supply as well as adapters for the entire world. 12GB of data allows you to browse approximately 120,000 webpages, read 24,000 emails and download approximately 24 hours of good quality video. 12GB is not enough. Can I add more data during my trip? What we recommend is that you purchase an extra data SIM card or two if you feel that 12GB of data is not enough. As long as the additional SIM card(s) is not snapped out of its original holder, you can return it to us for a full refund if necessary. Unfortunately, we cannot add more credit to a SIM card. What if my trip is longer than 30 days? If your trip is longer than 30 days, you will need to add an additional data SIM card to your order if you would like to maintain internet service. Can I use this next year when I travel? Yes but you will need to put in a new SIM card as our SIM cards expire after 60 days. If you order at least 2 weeks in advance of your trip, we can ship via ground. Ground shipping is free. If you are leaving soon, we offer round-trip 2-day Express for $29.96, or Overnight Express for $39.96. What is the latest I can order a rental MiFi? You can order up to one business day prior to your departure as long as you call in before to 1:30pm Pacific Time. Exceptions can be made on a limited basis, even if you are leaving early in the morning - we can usually get your MiFi to you. Please call our 800 number (rather than order via the web) in order to confirm that we can get you a phone rental on time. No, there are no surcharges or hidden fees. In fact, since the service is pay as you go, you are in complete control of your costs. The coverage is typically very good. Our service is from Three, UK but outside of the United Kingdom it will roam on Three's roaming partners, almost always at least 2 per country. Yes, insurance is available for $19.50 as an add-on once you add your item to the cart.